Do you have a shady area that needs a splash of color? Try this gorgeous double begonia! 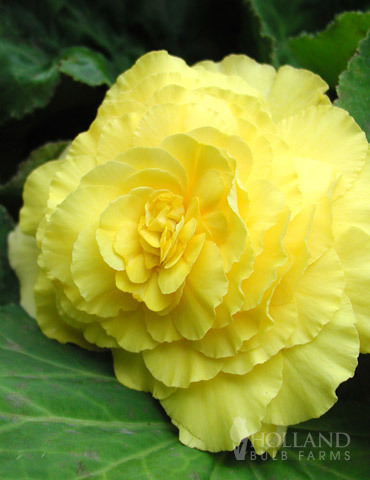 With bright yellow blooms which can reach up to 4" across, these traditionally styled begonias will be sure to catch the eye of visitors to your shade garden. Hummingbirds like these! These tubers can also be started early indoors for even larger, more vigorously growing plants! Price was fine; product arrived in fine shape except one of the three bulbs was soft, growth limp. Other two looked and still look great, not growing much, but still look healthy, will cross my fingers they will grow and bloom.